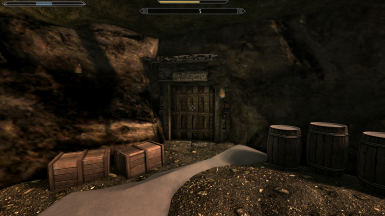 Faction - Pit Fighter (Created By ThirteenOranges) and Open Cities Skyrim (Created by Arthmoor) do not appear to work together upon arrival in Windhelm. 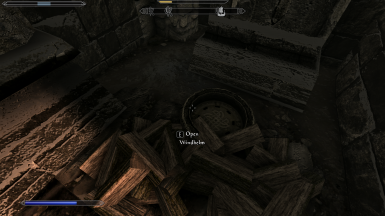 This is a simple patch that places a manhole where the door to the Pit Fighters is when playing without OCS, allowing access to the mod. This is a patch for Faction - Pit Fighter V.1 (Created By ThirteenOranges) and Open Cities Skyrim V.3.1.3 (Created by Arthmoor) on Skyrim Special Edition. 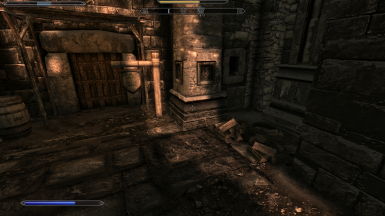 A manhole is placed where the door would originally be if Open Cities Skyrim wasn't installed (Next to Sadri's Used Wares in the Grey Quarter of Windhelm). Simple patches like these can be tedious to make for the average player, and the modding community either accidentally overlooks simple patches or ignores them. NO MORE SAYS SKYRIMSIMPLEPATCHMAN! v1.1 - File converted into an ESL. Be cautious when updating from previous version, recommended to either start a new play through or load up a save from before v1 was installed.